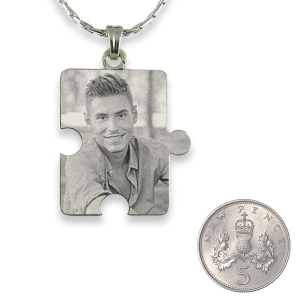 This 925 silver jigsaw puzzle shaped photo pendant symbolises the close relationship you have with another person. It could be a friend/family member or partner. A lovely way to tell someone how much you value their friendship as a piece of your life’s jigsaw. 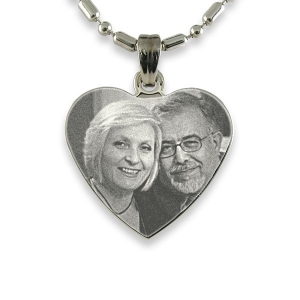 The pendant has “925 Silver” stamped on the back. 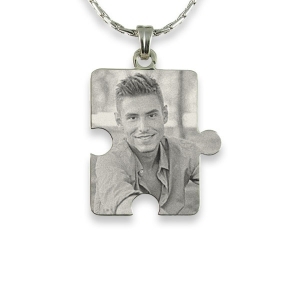 Let someone know they are the missing piece of the puzzle with this engraved photo pendant. 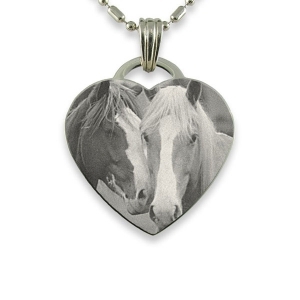 Have their photo or yours etched on this 925 silver jigsaw piece. 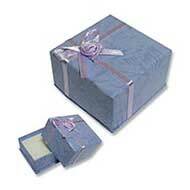 Add a dedication to the back to personalise your gift. 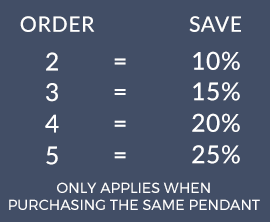 Create a preview before deciding to order. 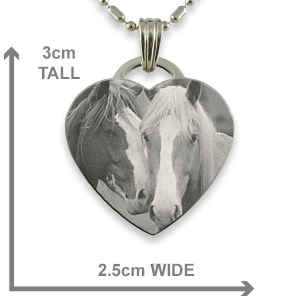 Please read the HELP page for info on how to look after your pendant or suitable image requirements for uploading. 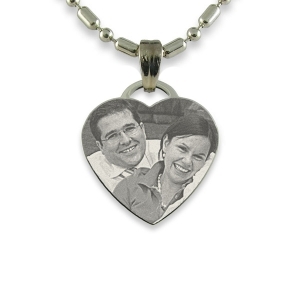 Engraved photo pendants are created by an etching technique which relies on contrast between areas that are impacted by a diamond tipped punch and the untouched pendant surface. The diamond point is very fine and can impact 720 dots per square inch. 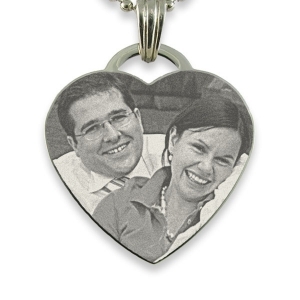 The image is visible through the reflection of light off the engraved surface of the photo pendant. 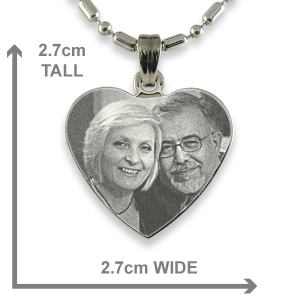 This means there is no colour or printing involved in the production of these photo pendants. By creating a contrast between light and dark areas of a photo a three-dimensional holographic effect is achieved. 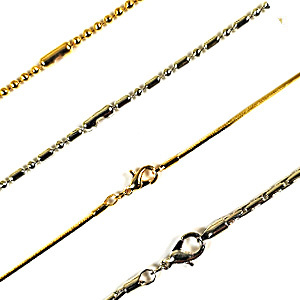 When the light falls on the photo jewellery from different angles it gives your photo a magical glint. 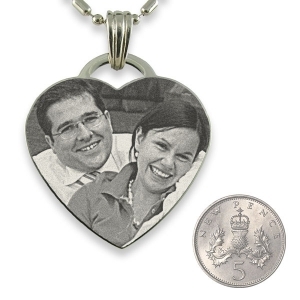 These puzzle shaped photo pendants make a good basis to create a memento for a tight knit family or extended circle of friends as they symbolically link one member to another. 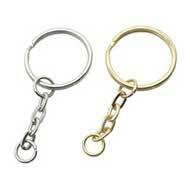 You can order one at a time for each member of the group as when they have a birthday.